After bringing North Sumatra's Ulos to Jakarta Fashion Week (JFW) stage last year, Kursien Karzai returns to JFW 2017 with a completely new collection. This time, he shows that monochrome never fails to give an elegant look. Elegant, high-fashion, yet still modest. That’s probably the best way to describe Kursien Karzai’s design. The APPMI (Asosiasi Perancang Pengusaha Mode Indonesia) designer is well-known for his simple and elegant Muslim fashion design. For the last couple of years, Karzai has been using traditional fabric as the material of his design. For him, the most important thing for Indonesian designers at the moment is to bring Indonesian culture to the global market. 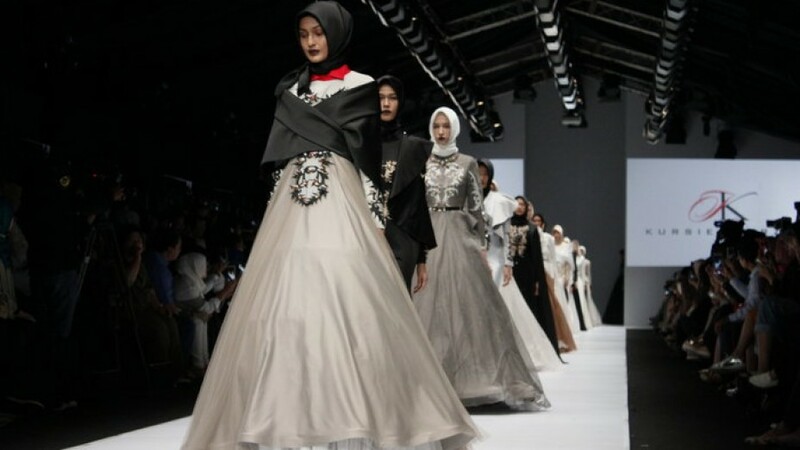 Last year at the Jakarta Fashion Week (JFW) 2016, Karzai turned North Sumatra’s Ulos into Victorian-style Muslim clothing collection. Earlier this year, Karzai took the Ulos to the international stage when he represented Indonesia at the Asian Model Festival 2016. Though, at the time Karzai was displaying his collection on ready-to-wear cocktail dresses and not Muslim clothing. This year at the JFW 2017, Karzai returns with his elegant collection of Muslim fashion. Karzai said that for now, he wanted to take a break from traditional clothing, and was coming up with totally new designs for the JFW 2017. He said, it’s important to bring new collection to the JFW because for him, JFW is the fashion trend for Indonesia. Karzai’s collection theme for the JFW 2017 is called “Filosofi Hati” (Heart Philosophy). With this theme, Karzai shows that monochrome never gets old. Karzai stated that “Filosofi Hati” here doesn’t mean something romantic with pinkish and bright colors. Instead, his collection represents the three sides of heart: the good, the bad, and something in between. That’s how he comes up with the color palette. Karzai also puts on some gold and brown colors to his design, adding a classy touch to the collection. This collection is suitable for formal high-class events yet still fits perfectly for those who want to stay modest. 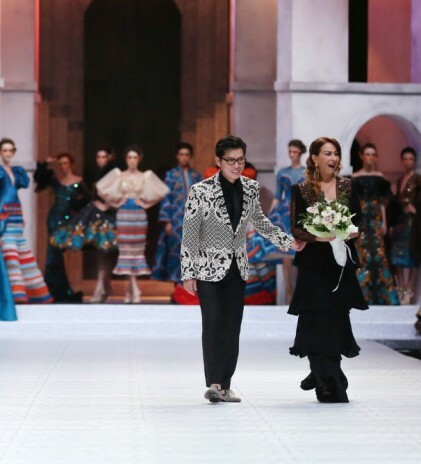 As an Indonesian designer who’s had fashion shows abroad, Karzai sees that the Muslim fashion industry in Indonesia is still very good. 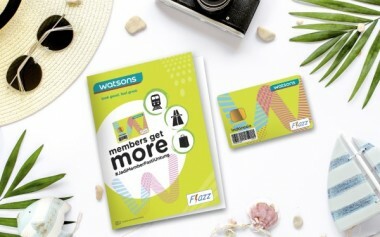 In fact, it can be said that it is still number one compared to Malaysia or Brunei Darussalam. 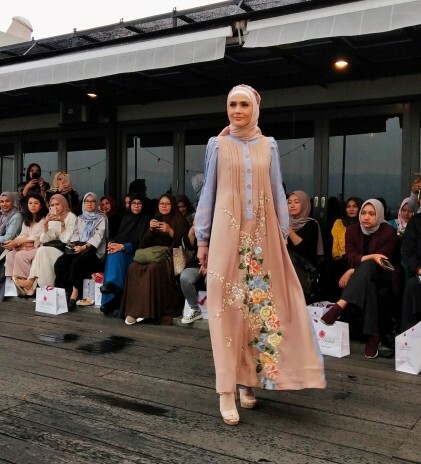 Karzai said that Indonesian Muslim fashion industry in terms of design model is still the best and in terms of sales number is still the highest.